Our family visited Ocean City, Maryland in June. It was my children's first visit to the ocean. We went straight to the beach. We didn't unload our luggage or check into the hotel. They were overwhelmed with excitement for the sand, the waves, and the shells. They collected a huge pile of clam shells within a matter of minutes. Others on the beach noticed their excitement and helped them search for more. 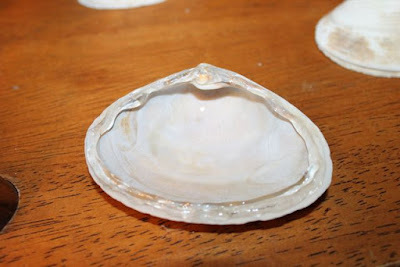 Each shell was unique in their eyes and we just had to keep it. 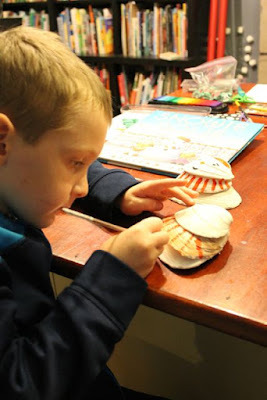 Over the next few days they learned that clam shells were quite common, but that didn't keep them from adding to their collection. We came home with multiple bags of shells. We used many shells to make stepping stones for our flower garden. 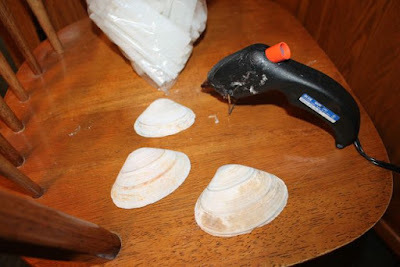 I didn't know what to do with the remaining shells. I hesitated to throw them away. 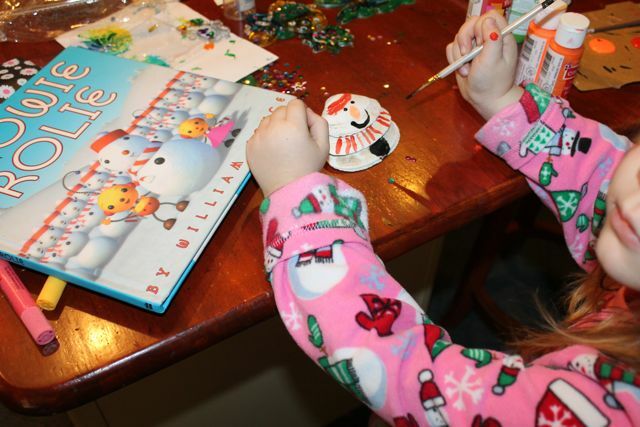 I am glad I didn't because this week my wife came across a craft idea in her Facebook feed that would be perfect for celebrating William Joyce's birthday. 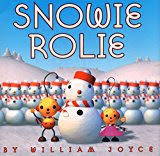 William Joyce is the author and illustrator of George Shrinks, A Day with Wilbur Robinson, Billy's Booger, and more! We read William Joyce's Snowie Rolie. 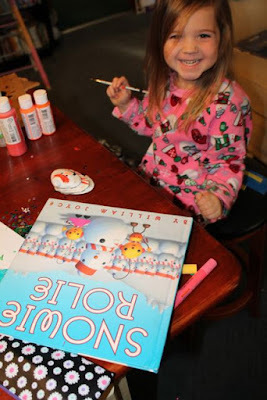 This book is about Rolie Polie Olie, his sister Zowie, and the day it snows where it had never snowed before. The sun that warms Olie's world blows its bulb and it immediately starts to snow. 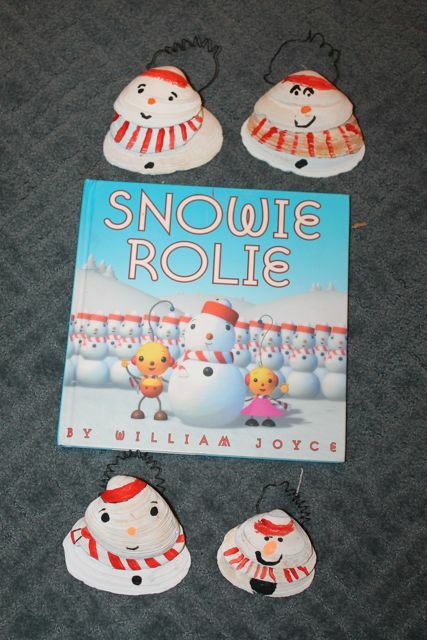 Olie and Zowie decide to build a snowfriend and name him Mr. Snowie. The sun's bulb is soon replaced and Olie's world is warm once again. Olie and Zowie act fast to save their new friend. 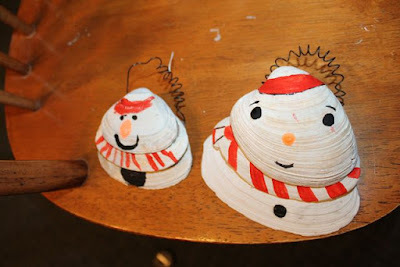 The craft idea was to make Mr. Snowie ornaments out of clam shells. I washed up the shells with soap, water, and a little bleach. First, we selected a small, a medium, and a large sized shell. I couldn't find instructions on how to make the ornaments. I decided to try hot glue. Thankfully, it worked great! 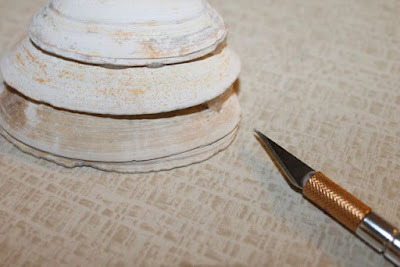 I glued around the edge of the smallest shell. 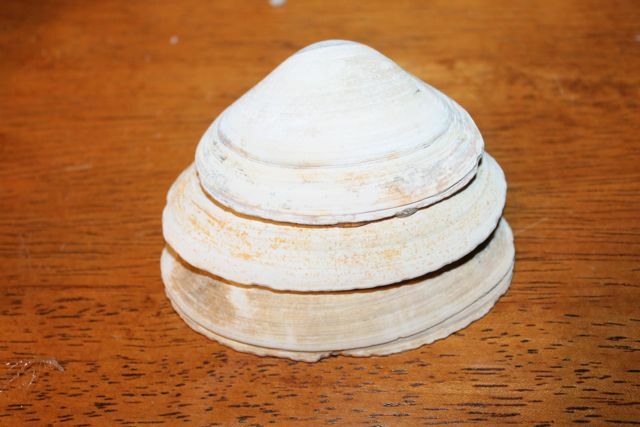 Then, I placed it on the medium shell. 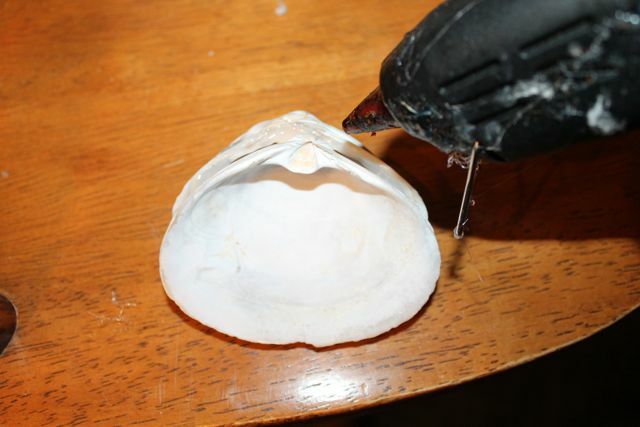 I repeated the step and glued the medium-sized shell to the large shell. I filled in the gaps with more hot glue. I removed any excess glue with an x-acto knife. 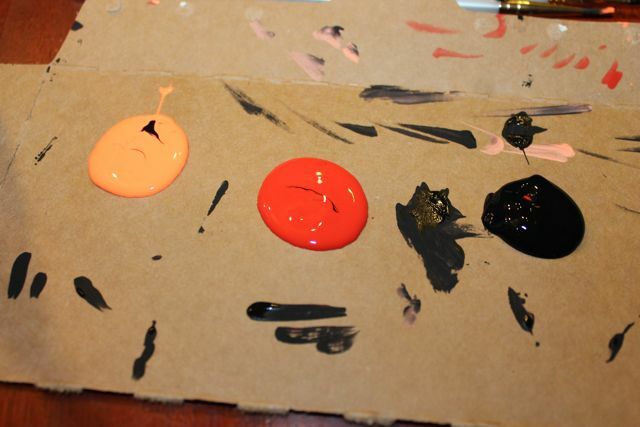 We used orange, red, and black acrylic paint to turn the shells into Mr. Snowie. My daughter knew exactly what to do. 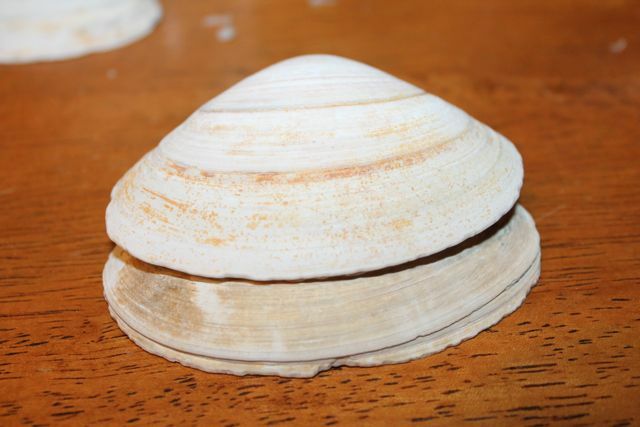 The middle shell became Mr. Snowie's scarf. She is so happy when she paints. I made one too! We attached a small piece of wire with more hot glue. 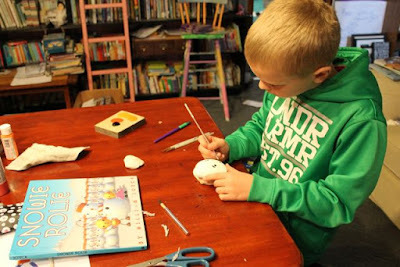 My boys wanted to make a Mr. Snowie ornament too. He said, "Mine has a mysterious face."